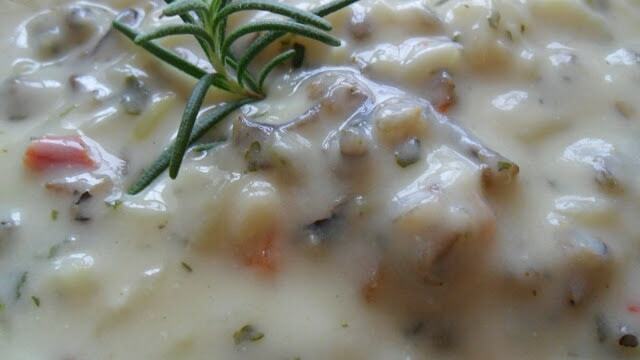 Creamy Wild Rice Soup is a real family favorite on a cold winter’s evening. Here at Turnips 2 Tangerines, we are extremely fortunate to live in Wisconsin where native wild rice grows. Wild rice is still hand-harvested by native Wisconsin Indian Tribes living in the northern regions of Wisconsin. This means we are fortunate enough to be able to purchase locally hand-harvested native wild rice at extremely great prices. Known for its luxurious and nutty flavor and chewy texture, wild rice isn’t really rice at all. Instead, it’s a long-grain, marsh grass native to the northern Great Lakes area, where it’s harvested by the local Indians. It’s important to clean wild rice thoroughly before cooking it. The best method is to place the rice in a medium bowl, fill with cold water, stir and set aside for a few minutes. Debris will float to the top and the water can be poured off. Each year, more and more people are attracted to the joys of wild rice harvesting. Through the collection of wild rice, harvesters can explore the best of Wisconsin, collect their own food, support the local economy and help to ensure that this important plant remains available for all people and wildlife, who depend upon, enjoy and appreciate its bounty. You must be a legal resident of Wisconsin to harvest wild rice. *Watch this video for more information on Harvesting Wild Rice. 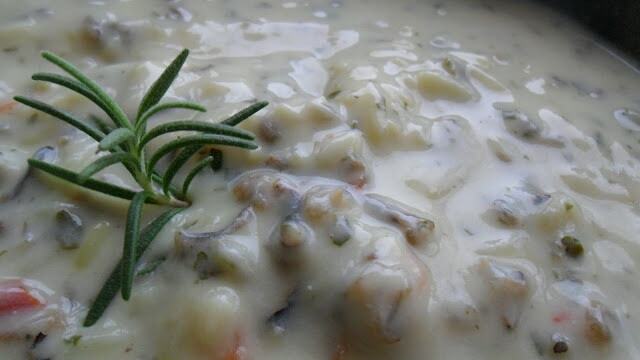 A delicious, creamy soup made with hand-harvested Wisconsin wild rice. In a large saucepan or dutch oven saute' onion, carrot, green pepper, celery, garlic and chopped mushrooms in butter until tender. Stir in flour until blended. Gradually add broth, whisk together until blended. Stir in rice, sausage, salt and pepper. Bring to a boil over medium heat, stir constantly for for 2 minutes. Stir in milk and hot sauce. Cook 1 hour until heated through. Here at Turnips 2 Tangerines we love us some soup! 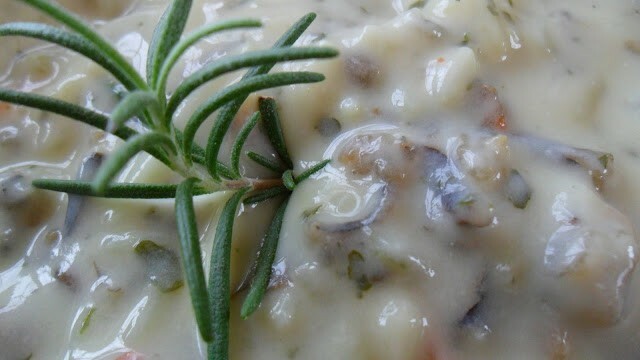 Check out out Recipe Box for more soup recipes. This is one of our favorite soup recipes; Turkey Frame Soup. VP Wild Rice and Golden Harvest Market are just two great sources to learn more about wild rice and where to purchase hand-harvested wild rice. Do you think this recipe would work with chicken instead of sausage? I looks really delicious, M & S have one similar and I wanted to make it myself. made this soup for my tribe tonight. Thanks for sharing. It was very good!